Get a head start on your career in psychological science as a Member of APS. Graduate Student Affiliate and Undergraduate Student Affiliate membership is open to anyone enrolled in a psychology degree program (or a related field) at an accredited institution. Graduate Student Affiliate ($86) – Applicant has received a Bachelor’s degree (or equivalent) and is (or expects to be) enrolled as a full-time student pursuing an advanced degree (Master’s or Doctorate) in psychology or any related field at an accredited degree-granting institution. Undergraduate Student Affiliate ($42) – To qualify, the applicant must be currently enrolled as a full-time student pursuing an Associate or Bachelor’s degree (or equivalent) in psychology or any related field at an accredited degree-granting institution. Candidates who join/renew upon completion of their Bachelor’s degree program must join as Graduate Student Affiliates. This Week in Psychological Science (TWiPS) e-news featuring online-early (pre-print) access to research in Psychological Science. 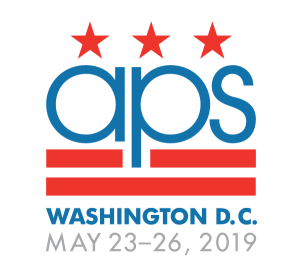 The APS Annual Convention brings together more than 4,000 scientists from across the globe and from disciplines spanning the full spectrum of psychological science. 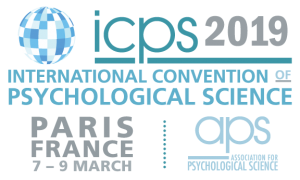 The biennial International Convention of Psychological Science (ICPS) connects you with more than 2,500 of your colleagues and future collaborators from psychological science, neuroscience, genetics, sociology, economics, anthropology, linguistics, and related fields. And APS Members receive a discount on registration rates for both. Network, present your research, and meet peers and distinguished researchers from around the globe at the APS Annual Convention and ICPS. At APS, science isn’t just a special interest—it’s the only interest. APS is the premiere international organization solely dedicated to the advancement of psychological science, and works diligently to increase support for psychological research and to promote the use of science-based psychology in the development of public policy. Furthermore, APS broadens public understanding of our science by ensuring wide and accurate daily coverage in major news outlets including Scientific American, The New York Times, and The Wall Street Journal among others. Explore mentorship opportunities for Undergraduate and Graduate Students through the APS Mentorship Program for Undergraduates, the APS/SSCP Psychological Science Career Mentorship Match, and the National Research Mentoring Network. Contact the APS Membership Team at member@psychologicalscience.org or by telephone at +1 202.293.9300.